How do I exclude Hawaii and Alaska from Free Shipping in Magento? I’m using Magento and want to offer my customers Free Shipping but not Alaska or Hawaii. I want to only offer the free shipping on the lower 48 states where it’s reasonable to ship. How do I set this up properly in my Magento store? I’ve tried Shopping Cart Rules and messed with the Free Shipping settings in configuration but it keep offering Free Shipping to everyone, what’s going on? 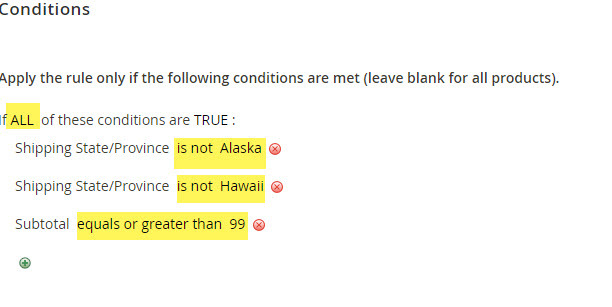 You can exclude Alaska and Hawaii pretty easily actually once you understand what Magento wants. 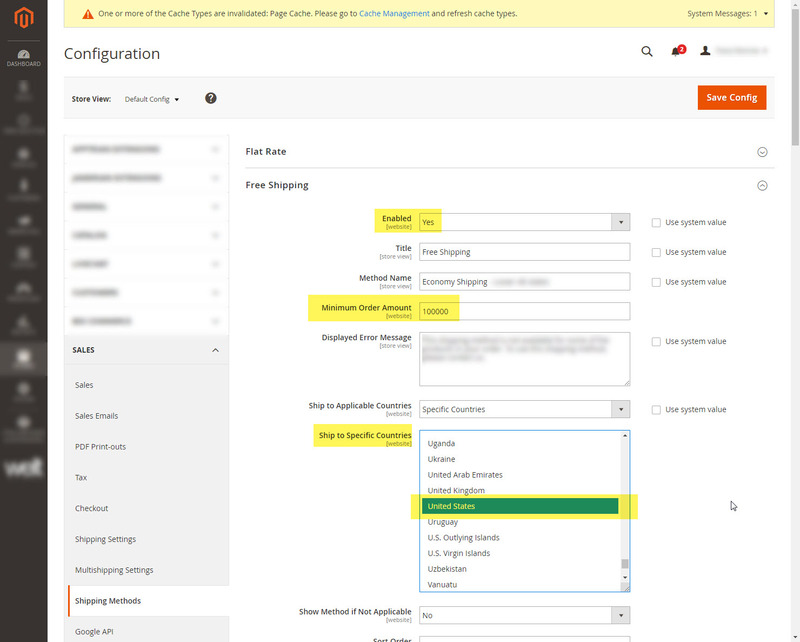 First you’ll need to setup your free method up in Admin. At this point we’ve setup free shipping but it won’t work since the Minimum Order Amount is set super high. Now we go and create the appropriate Cart Rule in Magento. 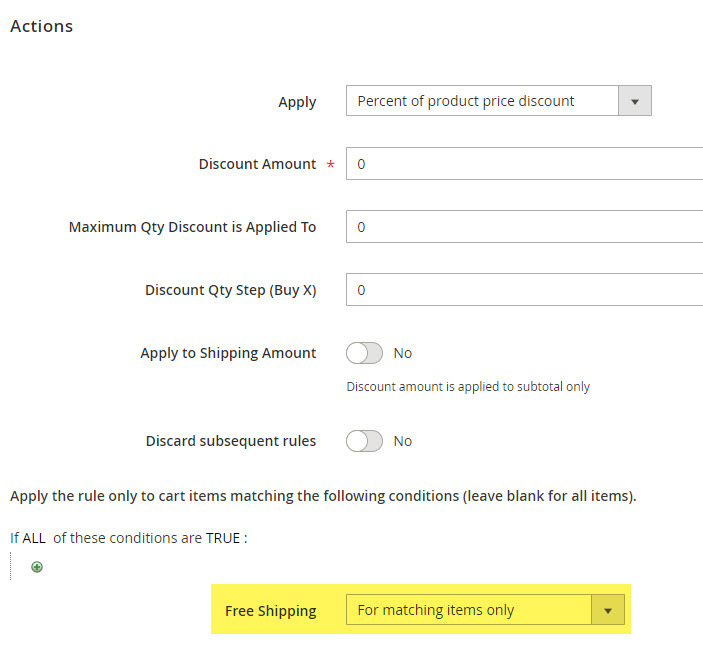 UnderÂ ActionsÂ leave it blank except you’ll selectÂ Free ShippingÂ “For matching items only” – in the drop down. This should do the trick. make sure you always Label your Shopping Cart Price Rules so you and your customers will know which rules are being applied in the cart. Also the Label will also help you identify which coupon was used on the customer order and invoice, super helpful. Please leave me a comment if this was helpful to you and everything worked out ok. Thanks!